Great panel work on the silver hawk. I regret never picking that one up. Nice. I have the original kit. Does the Chronicle Savior reissue come with decals, or are you going to use aftermarket decals? 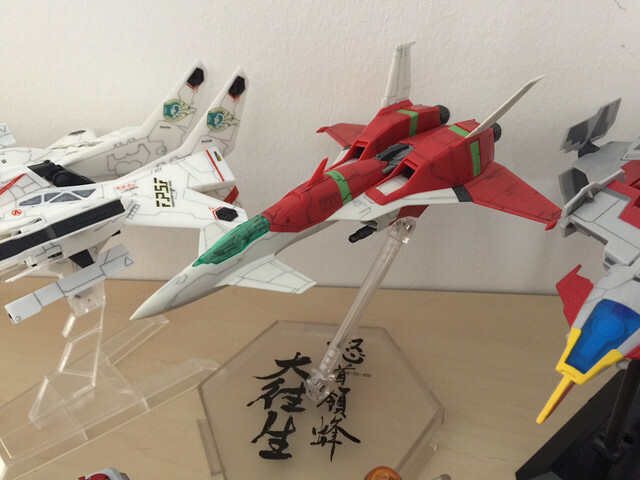 No, I don't see the Raystorm kit anywhere, not even any current auctions on YAJ. 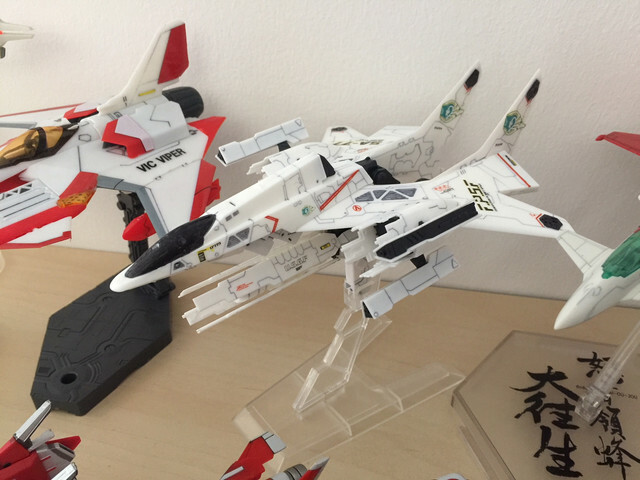 And I'll tell you that the Ikaruga kits are hard to find, especially the 1P version. My wife got me the 2P one (I forget the name). 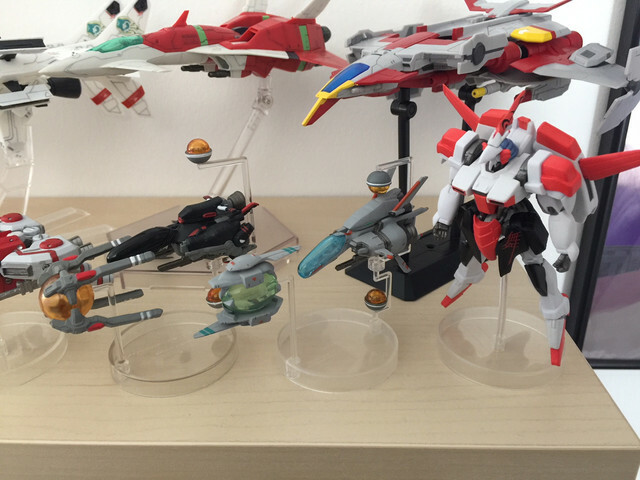 You know, I think I remember seeing the Raystorm kit at a model shop in Maebashi the last time I visited there (several months ago). If I see it again, I'll buy it and flip it for you. I won't jack the price up, either. I do this a lot for people on modeling forums. Plenty of people appreciate it, but some jerkwads hate me for it. I'll see what I can do. 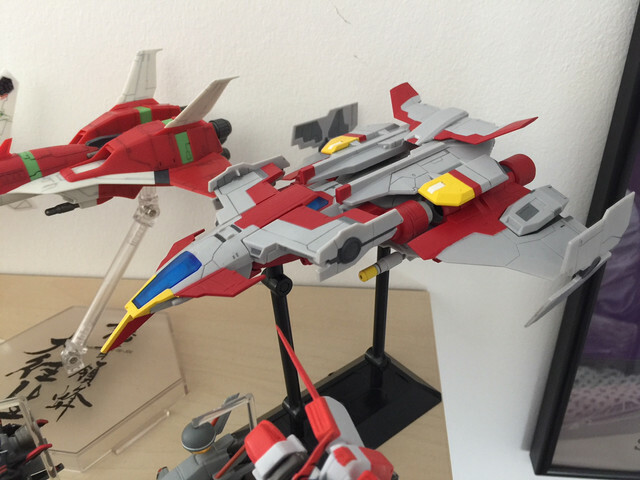 So the Silverhawk was recently repopped with a Darius Burst: Chronicle Saviour box. And the Silpheed was repopped about a year ago, this time with decals. That would be seriously awesome! And I'll definitely appreciate it. There's one on eBay for sale from Japan at the moment but the price is high and with the customs fees it will get ugly. Do let me know on PM if anything comes up and thanks a lot. A couple of weekends ago, I stopped by that model shop. 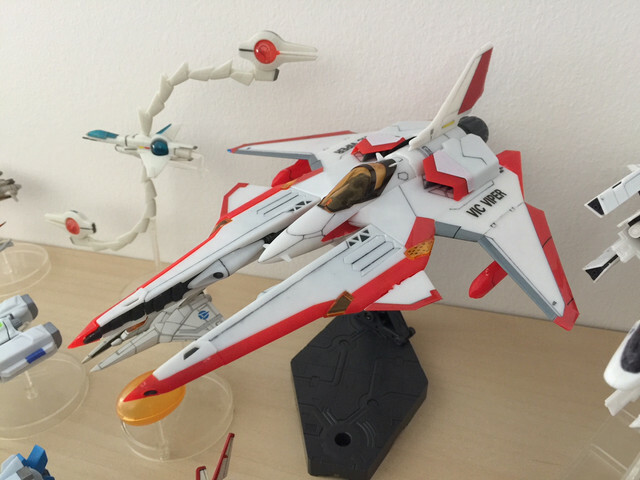 Unfortunately, they no longer have any Kotobukiya shmup ships. 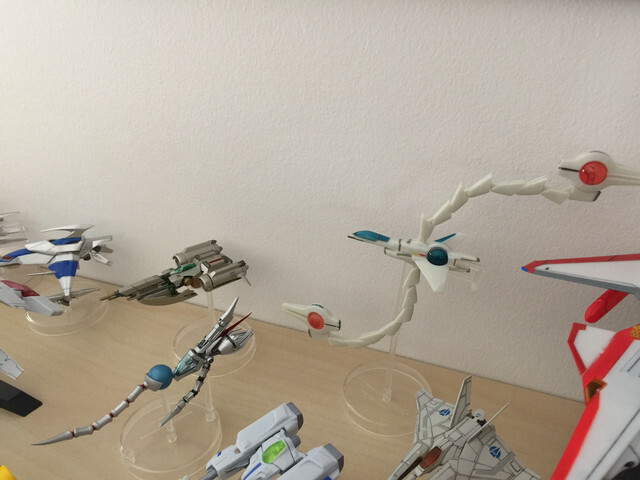 They had the Silverhawk and Arrowhead models by Plum, but nothing for Raystorm, Ikaruga, or Dodonpachi. Well, I tried! I got 2 for myself recently. Just send me a find request from my retro raider link below if anyones interested..
Plus personalised and fast rare item finding service! Besides Ikaruga the Kotobukiya ones have became quite rare recently... I appreciate that you looked in any case! Maybe one day I'll see one on eBay again that's more affordable. So I had misread that Plum flyer about the Gradius model. The development for the Vic Viper was to commence in December. All I did was look at the date and did not attempt to look up the kanji I could not read. They aren't showing anything of this yet on their social media at all. 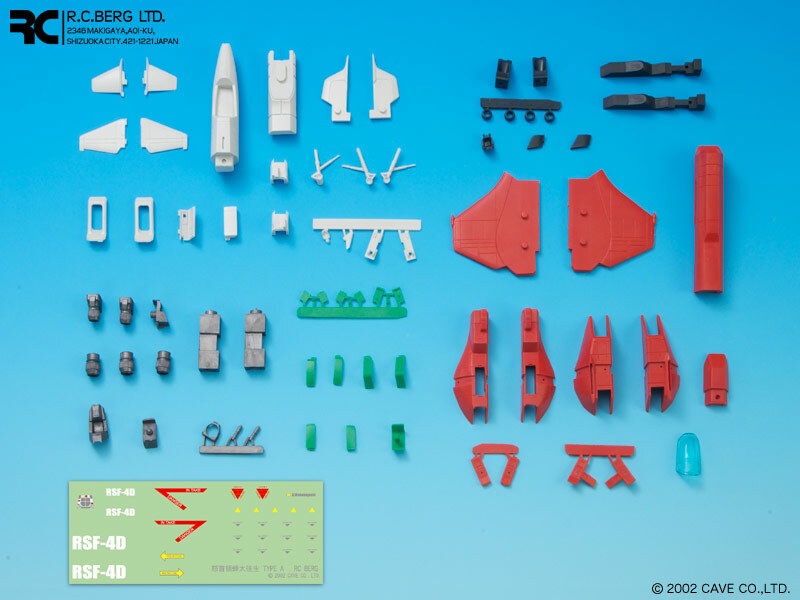 Can anyone who owns the RC Berg Type A kit confirm if it comes with a pilot (Part number 5)? I recently got a kit and it was missing. I understand that the Type B version never came with one. In the official pics for the Type A, the part is on the sprue (whitish in colour and pictured in the centre below the landing gear), although I can't seem to see it in the actual completed model. Off Pic of the parts laid out. Any word on these Thunder Force figures by FREEing ? They were shown at the recent wonder festival along with a new dobkeratops figma?? These are all from various Darius games, mostly Burst, except there's also two original Silver Hawks from Darius vanilla. All of these were just DB:CS PS4 collector's edition Yujin toys, Shooting Game Historica toys that had a small amount of assembly required and the Iron Fossil is the Figma that also had very little assembly. 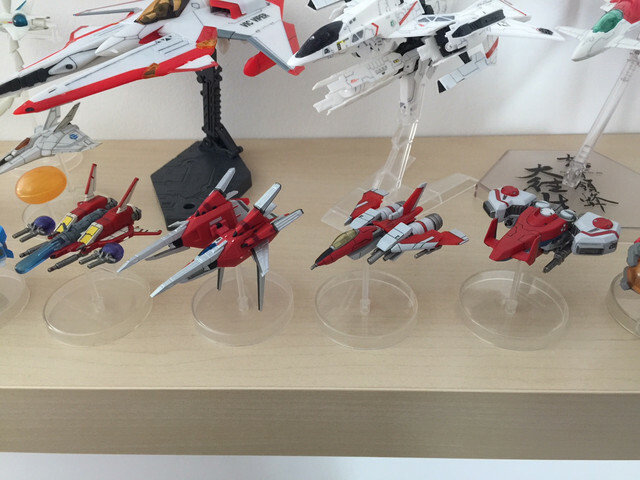 The exception is the big red Silver Hawk from Burst, that one is a model kit by PLUM that required assembly. It was pretty easy to build and detail, all things considered, didn't have any extra decals or anything. Here's just an overhead shot of these, looks a lot like the promo images from DB:CS where all the ships are arranged in a circle. 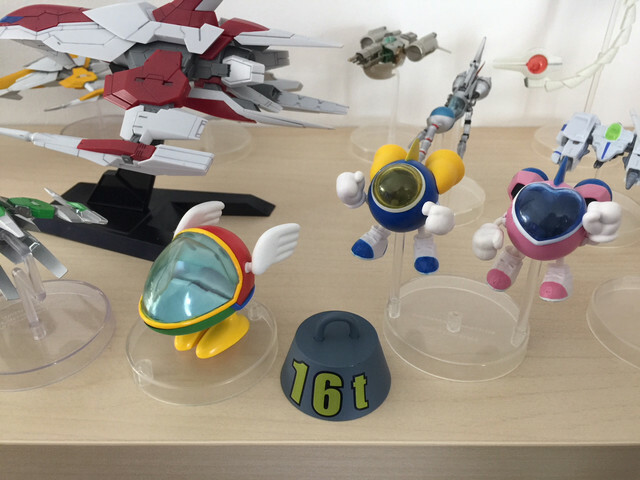 These are STG Historica figures from Cute 'em ups, Fantasy Zone and Twinbee. Detail is really well done on both sets, not really any assembly on these. A few more STG Historica's from Metal Black, Xexex, and X-Multiply. These all actually had some assembly required, Metal Black also had some VERY fragile parts on it, so it was harder to put together than it should have been. 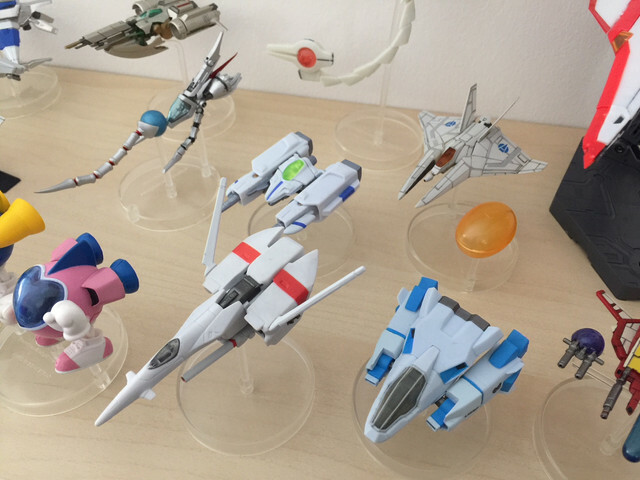 Here's more STGH from Star Blade, Star Luster, Star Soldier, and Gradius 2. All of these had almost no assembly, but all look pretty awesome. Here's more STGH's of Image Fight, RayStorm, Raiden, and Soukyugurentai. The RayStorm ship was actually a HUGE pain to put together and required some extra cutting and glue to get the pieces together. Raiden and Soukyugurentai were pretty difficult as well, since both of them have multiple "modes" you can put them in, with extra parts and moving parts around. R-Type Final, R-Type 3, and Aleste STGH. The R-Types were actually surprisingly hard to put together, there's a lot of pieces and little wings that are hard to get in place, and then the options had their own stand parts which also required some extra cutting/maneuvering to get in place. This is a special STGH that's about 10 times the size of the normal ones, from Terra Cresta, of the full size Wing Galiber formation. This wasn't too difficult, but you did have to fit all the pieces together to get the full formation, and it wasn't entirely cooperative all the time, but I love the final result. DoDonPachi DOJ Type-A model kit by Kotobukiya. This was probably the best quality of all the full model kits I had to build. Everything fit together well and looked great in the end. Love the custom base/stand as well with the DOJ logo. This was a fun build. Silpheed: The Lost Planet model kit by PLUM. This one was kind of a mess. The pieces they give you aren't necessarily low quality plastic overall, but the coloring on them is very plain, and it requires a lot of detail and painting to get it right. Aside from the coloring already being a mess, applying the decals was a total nightmare. They're water-based decals, to begin with, and most of them are literally microscopic, so a lot of them just got damaged or lost all their adhesive before they could even be applied. I had to use some extra glue to get most of the decals to stick and I also did a gloss enamel coating on top to get them all to stay in place. The final result is pretty cool, but it was a frustrating build. 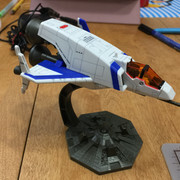 This is a Vic Viper model that is technically from the Sky Girls anime that Konami did in the late 2000s, but the detail and shape here are great. Unfortunately, the quality of the plastic and the model itself were not great. Took a LOT of work to do the details and get everything to fit right, and required a good amount of extra glue and cutting of pieces to get them to fit right. This is an alternate coloring, but I've always liked how Vic Viper looked in red as opposed to the blue it's usually presented in. It also came with no stand or base, so I had to custom build one out of a Gundam 1/144 base, took a good amount of work. I have a few more small additions coming soon, but this is the bulk of it. If you have any questions about them, ask away, I'll try to answer as best as I can. Do you have the two different Kotobukiya Ikaruga model kits (white and black colored variants) assembled & painted as well? MachineAres, that collection of yours is stellar! Good news for you guys. 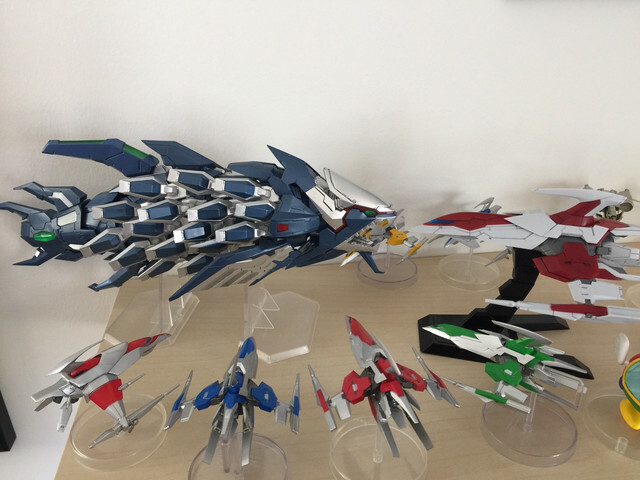 Kotobukiya will be repopping some of their shmup kits. The Ikaruga will be re-released in November, and in February we'll see the Ginkei (Ikaruga 2P ship) and the R-Gray1 from Raystorm. Wave's Solvalou from Xevious is due in October. I never did get around to buying the Solvalou, so that is tempting. I have a pre-order in for the Ikaruga. I already have the Ginkei and R-Gray1. I never did finish my lighted R-Type kit. I had to yank some of the wiring out to redo some work and I was getting frustrated and it's been sitting on my shelf ever since. Maybe I might try finishing it before the end of the year. Fantastic news! Wish I waited on getting the Raystorm kit as the price I payed was steep but at least I didn't rush getting the Ikaruga kit. Which website have you put the preorder in on? Good news for you guys. 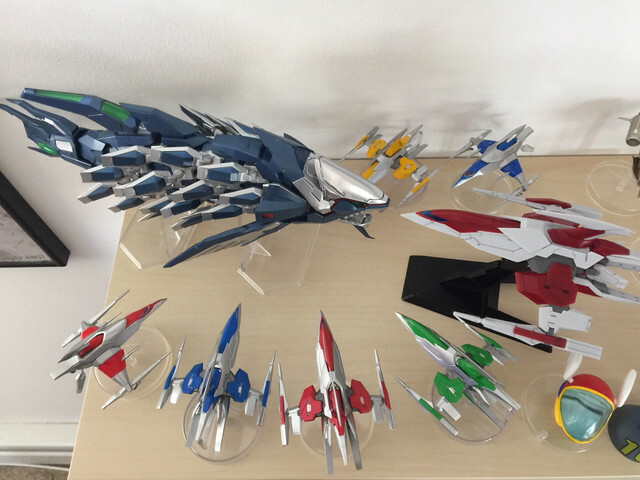 Kotobukiya will be repopping some of their shmup kits. Wave's Solvalou from Xevious is due in October. The detail on that ship is fantastic, are these pre-painted or is this your handy work? Thunderforce III & IV figures up for preorder. Feb 2019. 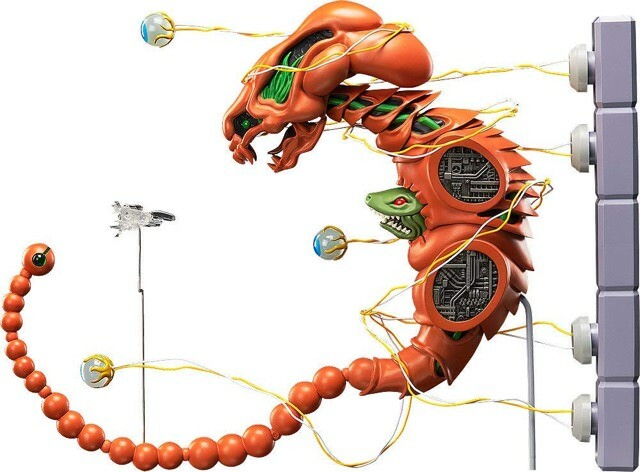 I preordered mine on Hobby Search (1999.co.jp). You can find it on AmiAmi too. Nice, but so expensive. It'd be great if somebody would make a plastic model for assembly. The Solvalou kit comes with only stickers, unfortunately. But for those of us who paint the models, it wouldn't be difficult to paint instead. Wave's Galaga kit came with a sheet of butthundred decals. With the Ikaruga and Ginkei on the way, I'm sure it's a safe bet that the black variants will also be re-released sometime next year. Neat. 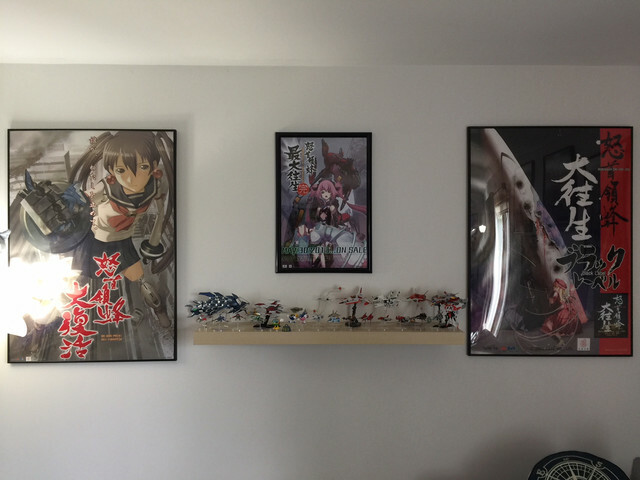 I found the Ikaruga's! Although I was hoping for the black variant of the Nuribotoke as I already have the white Ginkei. I suppose I can wait a few months and see if they'll re-release those variants too. At this rate, I'd be surprised if Kotobukiya doesn't release the black versions of the Ikaruga ships. And speaking of game-related models, Wave has recently come out with their 1:12 scale model of an Astro City cabinet featuring Capcom games. ...as well as newer-style arcade cabs. It was my work, the kit comes in flat colors, just gray, dark brown, and blue, the rest was painted or panel lined by me. Saw these on Twitter yesterday. So very tempting, but wow, they're expensive. That would certainly look nice facing off against my army of R-9A figures.